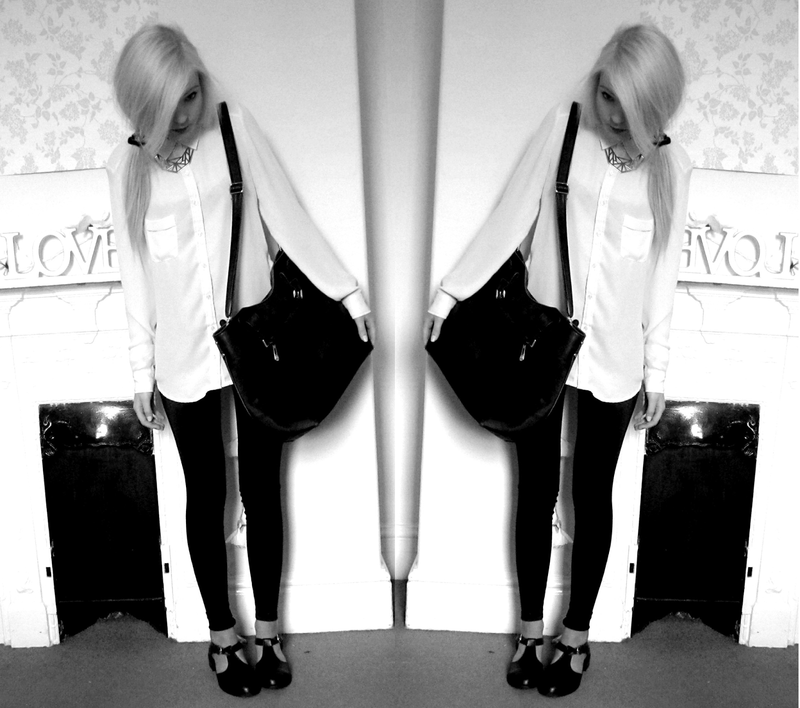 Primark outfit and shoes, La Moda bag, Topshop necklace. A more reserved looking outfit today. I do like have my buttoned up shirt days, and once again monochrome is my friend. Colour lately just isn't for me but I am on the hunt for some tartan trousers, whether they be red, dark green/navy, or black I am yet undecided. I get a lot of inspiration from Pinterest, I am seriously an addict at the mo. Can never go wrong with monochrome. You look amazing!! I want your shoes they're so cute. I love your blog just followed you! Those shoes are gorgeous, and from Primark too? Absolute BARGAIN!! Great outfit! Very nice style and blog you have!